Big Fish Audio - TD Audio Psytrance - 10 essential production kits with everything you need to get started! 10 essential production kits with everything you need to get started! 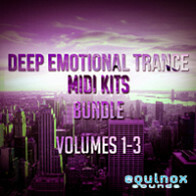 TD Audio is ready to get tripped out with an essential collection of production kits for Psy-Trance. 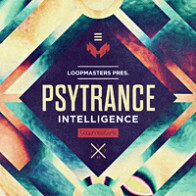 This is an exclusive Loopmasters.com only collection of some of the best Psy-Trance construction kits, compiled by Edvin (second half of TD Audio) from his award winning Function Loops brand. This is the sound of the biggest Psy events on the planet. 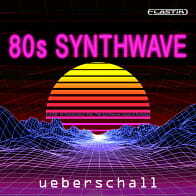 Now you get 3 Ghz of 24 Bit Psy-Trance audio. 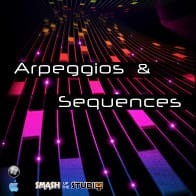 All the sounds in this exclusive pack are 100% License Free and ready for any Daw. 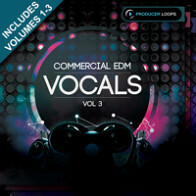 Beef up your Bass, Drums and Lead sounds like never before. This production pack features the best of the best. 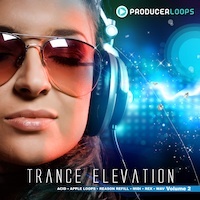 TD Audio Psy-Trance contains 10 essential production kits which feature Audio Loops, Drum Shots, Fx, Stems and Midi to explore this style to its fullest. 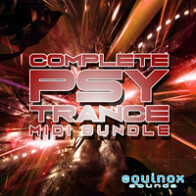 You just add your music and effects and this pack will have you sounding like a Psy-Trance Guru in no time flat. This best of sample collection is a great definitive source for this beloved electronic music style. You get everything you need to get started and everything you here in the demo track is in the pack. So grab your glow sticks head over to the beach and let your musical mind run free! The Following End User License Agreement is included with TD Audio Psytrance. 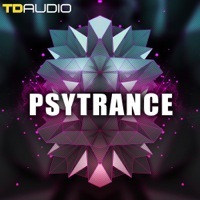 This License is only valid for the individual who has purchased an unopened, new and lawfully made copy of TD Audio Psytrance from a dealer or distributor authorized by Big Fish Audio. "These license terms are an agreement between Industrial Strength Records Inc. (“ISR”) and you. Please read them. 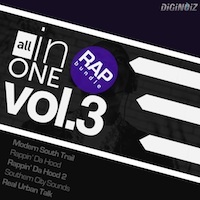 They apply to the sounds, samples, and loops in the sample pack that you’ve purchased (collectively “Sounds”). By using the Sounds, you accept these terms. Scope of License. The Sounds are licensed to you, not sold to you. This agreement only gives you some rights to use the Sounds that you licensed. ISR reserves all other rights not expressly granted to you. The license is granted for a single user only and is not transferable. The license is non-exclusive. The term of the license is the full period of copyright protection. You may use the Sounds with other sounds within your own original music compositions mixed with additional parts for commercial and non-commercial use. YOU SHALL NOT: (a) rent, lease, lend, trade, license, transfer, duplicate, distribute, assign, sell or make copies of the Sounds whether modified or in their original form; (b) publish, or make the Sounds available, for others to copy; (c) sell or incorporate the Sounds, whether in combination with other sounds or alone, as part of any competitive product such as a sample pack, virtual instrument, expansion pack, or any other collection of sounds, samples, or loop elements in any format; (d) use the Sounds in isolation; (e) upload, download, or electronically transfer the Sounds to or from any server, including but not limited to sendspace.com, rapidshare.com, or similar service; and (f) file share or make the Sounds available via online-medium, including but not limited to any peer-to-peer file sharing service such as BitTorrent or any related service. Any use of the Sounds not granted herein must be authorized in writing by ISR prior to such use. Controlling Law; Jurisdiction. This Agreement shall be governed by and construed in accordance with the laws of the State of New York and of the United States. Jurisdiction of any controversies regarding this agreement shall be limited to the Courts of the State of New York and the United States Court of the Southern District of New York to which jurisdiction each party hereto consents. In the event any such controversy is adjudicated, the Court may award reasonable attorney’s fees and disbursements to the prevailing party. Limitation of Liability. You can recover from ISR and its suppliers only direct damages up to the amount you paid for the sample pack. You cannot recover any other damages, including consequential, lost profits, special, indirect or incidental damages. This limitation applies to (a) anything related to the Sounds or content on ISR or third party Internet sites; and (b) claims for breach of contract, breach of warranty, guarantee or condition, strict liability, negligence, or other tort to the extent permitted by applicable law. It also applies even if repair, replacement or a refund for the Sounds does not fully compensate you for any losses; or ISR knew or should have known about the possibility of the damages. No Warranties. ISR gives no express warranties, guarantees or conditions. Where allowed by law, ISR excludes implied warranties of merchantability, fitness for a particular purposes and non-infringement."